November Criminals (film, 2017). An American crime drama film with "PG-13" rating by Stage 6 Films/Vertical Entertainment/Sony Pictures Worldwide Acquisitions. Directed by Sacha Gervasi. Official Trailer. November Criminals is an American crime drama film directed by Sacha Gervasi. 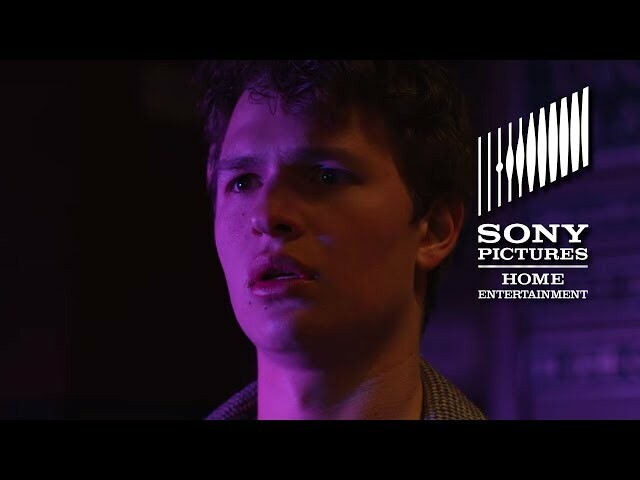 November Criminals Trailer - On Digital 11/7 & In Theaters 12/8. The film opens with old footage of a young Addison Schacht and his mother playing at the beach. A voice over reveals that Addison's mother died of an aneurysm six months prior to the events of the movie. In the present, teenaged Addison Schacht is delivering his application to the University of Chicago, along with his friend Phoebe Zeleny. After dropping the envelope off, the pair go to a local bakery for some coffee. There, they meet Kevin Broadus, who is a mutual friend of both Addison and Phoebe and an employee at the bakery. Once Addison and Phoebe get into their car, Phoebe admits that she is still a virgin, and would like to lose it before leaving for college. Addison agrees and the two head to Phoebe's house. Shortly after they leave, an armed motorcyclist pulls up to the bakery and rushes inside with his gun drawn. Addison and Phoebe are discussing their feelings about both losing their virginity when Phoebe's mother calls to inform her that there was a shooting at the bakery, and that Kevin was killed. Addison heads home, but stops at the bakery, which is now an active crime scene. Addison asks a news cameraman about the shooting, and the cameraman admits that it was most likely due to gang violence. Addison is confused because he believed Kevin was not the kind of person to be involved with a street gang. Fed up with the authorities' dismissive claims about the shooting and his school's eagerness to forget about it, Addison starts his own investigation into Kevin's murder. He starts putting up posters around the school, asking anyone to call if they have more information about the shooting. Addison also steals Kevin's file from the school records, where he and Phoebe learn that Kevin was seeing the counselor because he seemed emotionally detached and distant. While at lunch one day, a student who was at the bakery the day Kevin was killed reveals that the shooter was white, and not black like the original police report said. The student also mentions that Kevin had been hanging out with a former student named Noel. Meanwhile, Addison is suspended for a week after administrators check his locker and find Kevin's stolen file. The film November Criminals was scheduled to be released by Stage 6 Films, Vertical Entertainment and Sony Pictures Worldwide Acquisitions on November 7, 2017.